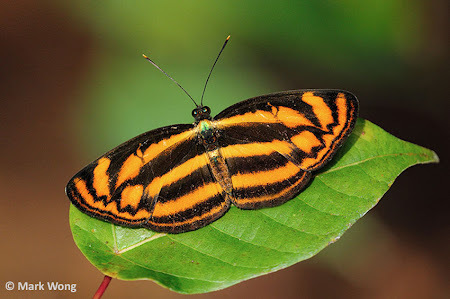 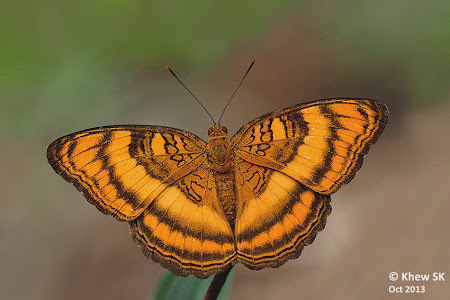 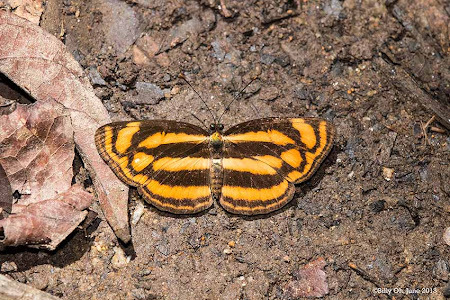 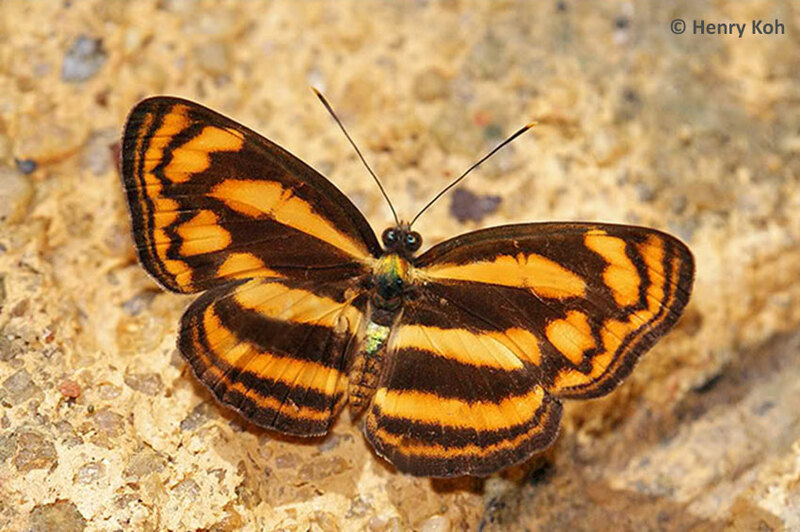 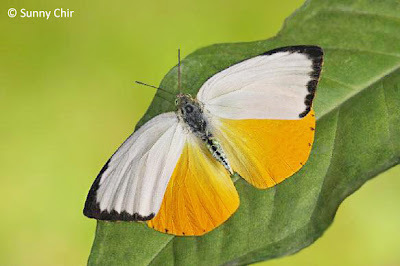 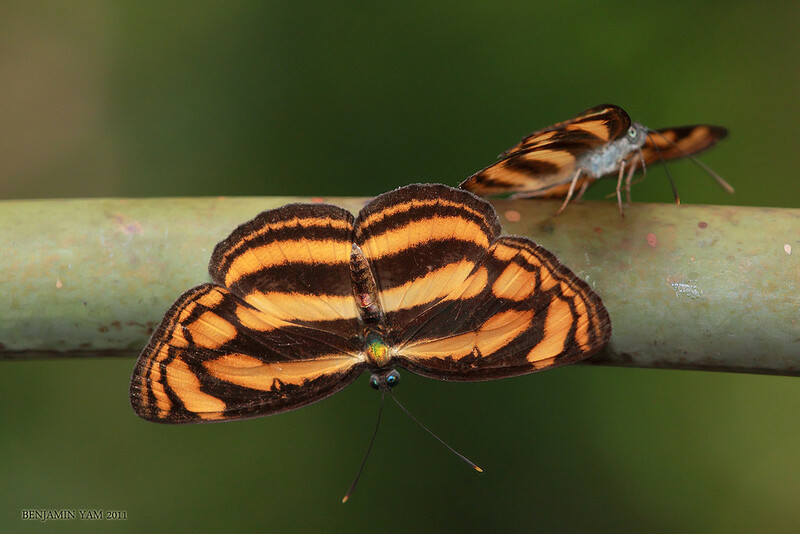 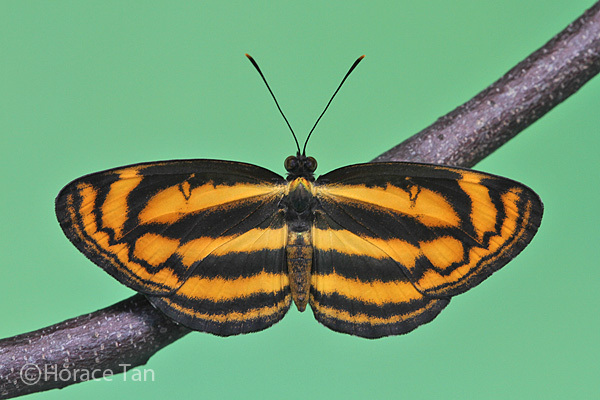 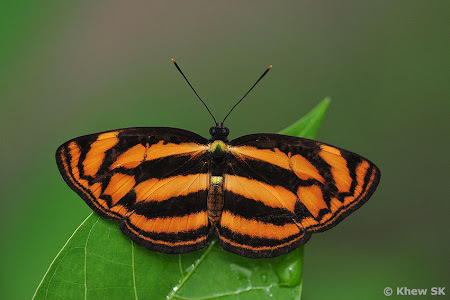 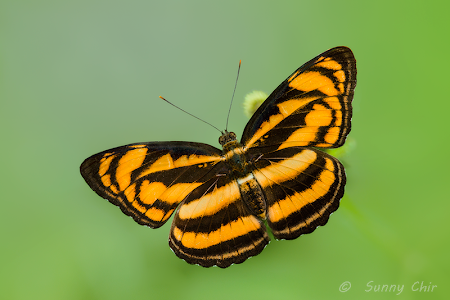 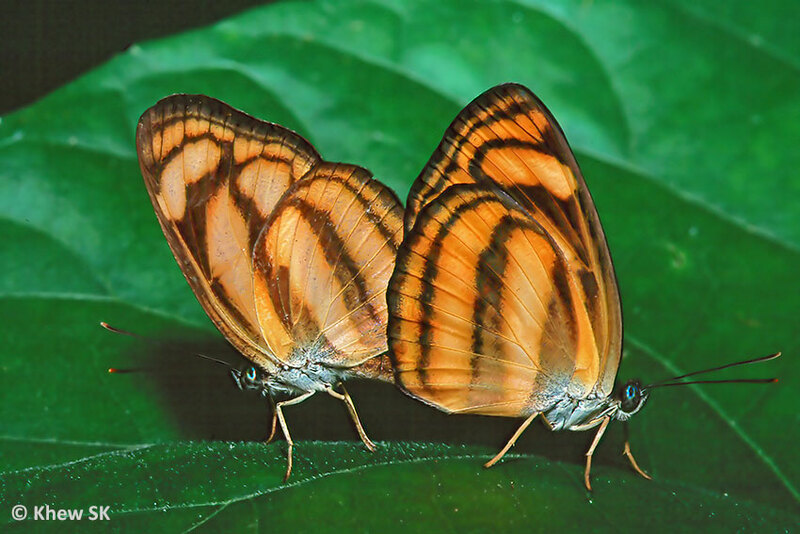 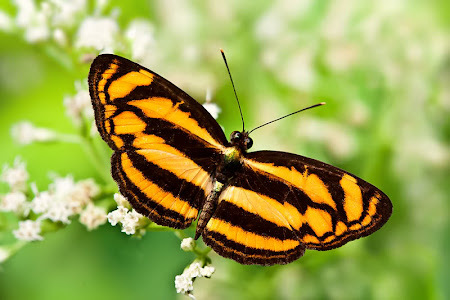 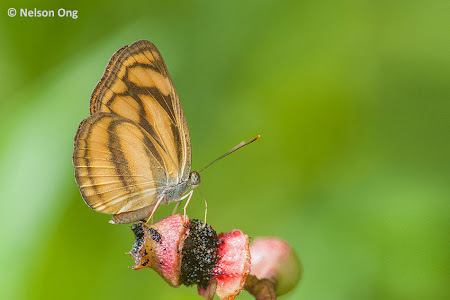 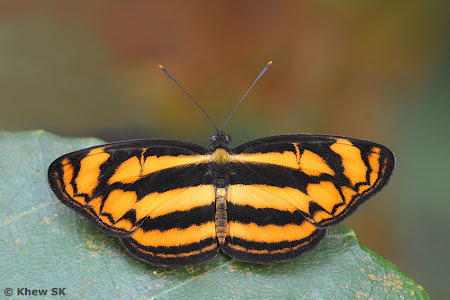 The Colour Sergeant has two female forms - f-neftina with orange and black bands, and f-subrata with brown and black bands. Of the two forms, f-neftina is the one that is more commonly encountered. 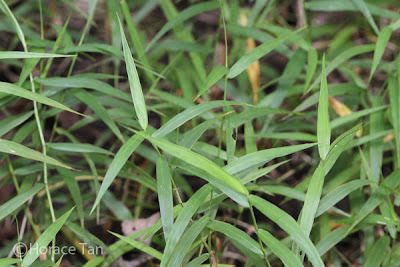 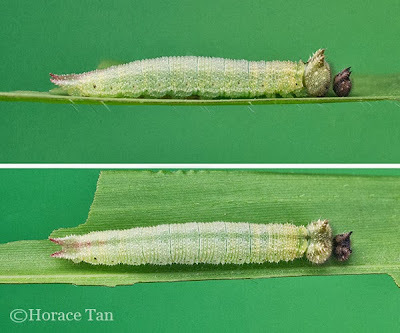 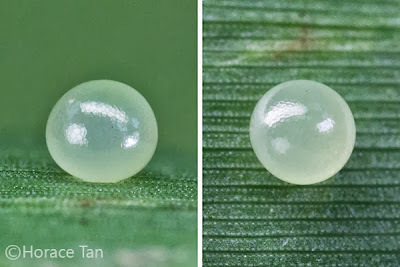 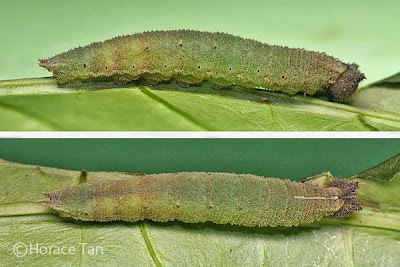 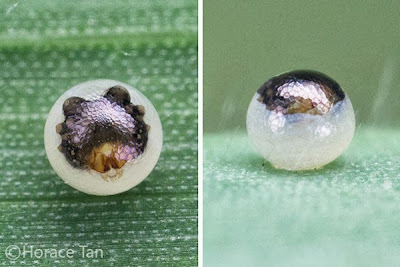 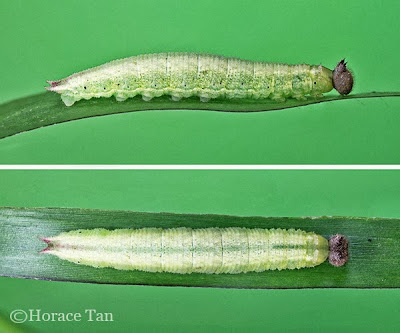 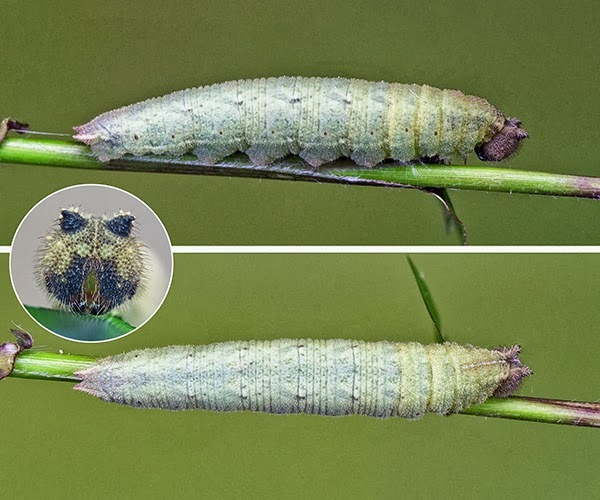 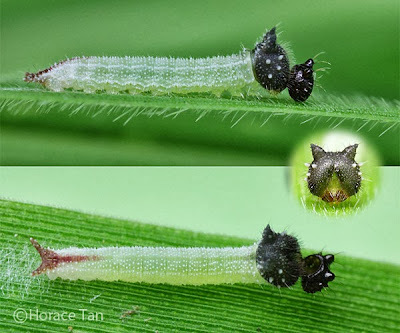 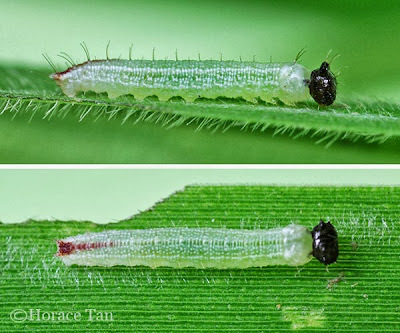 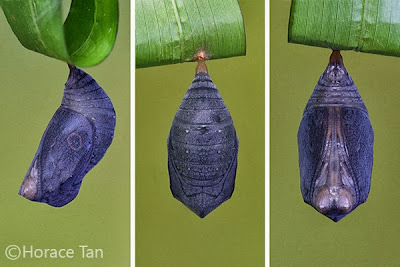 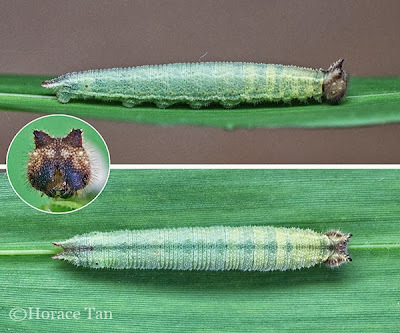 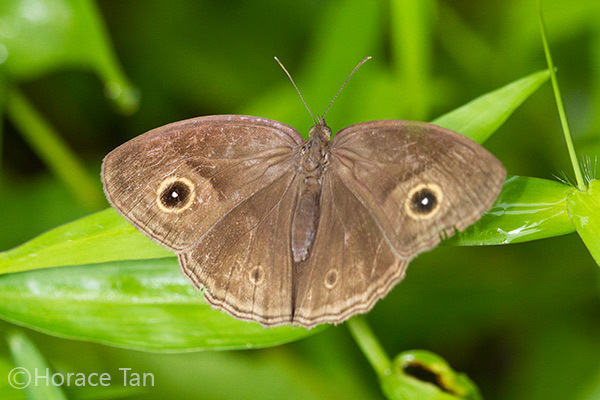 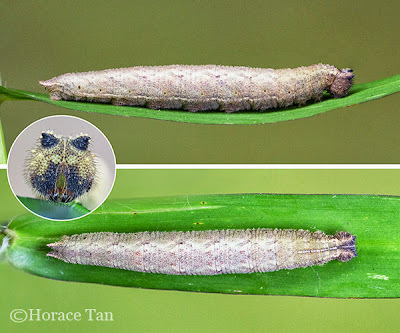 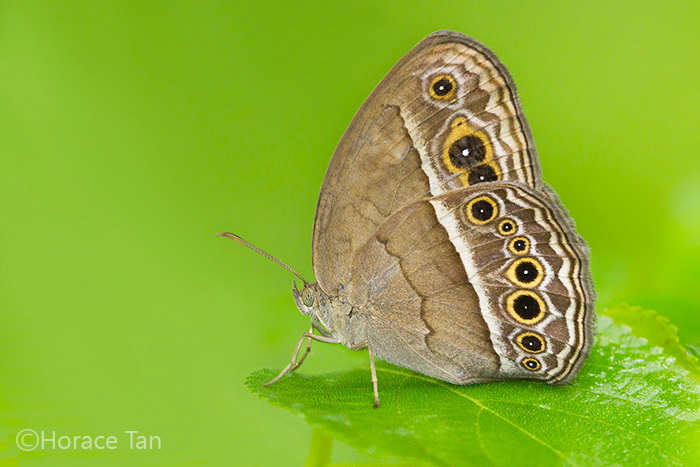 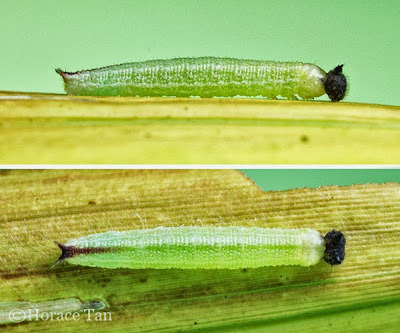 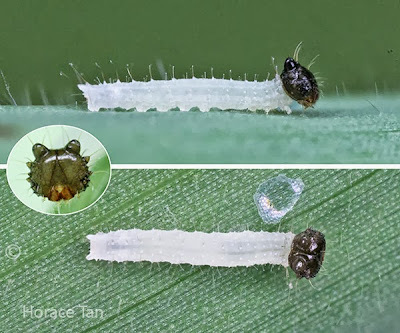 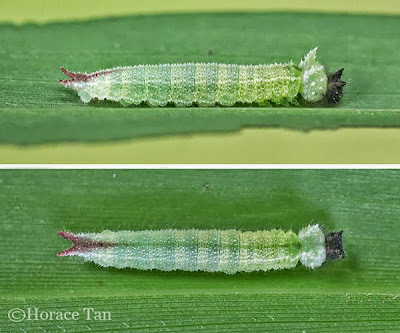 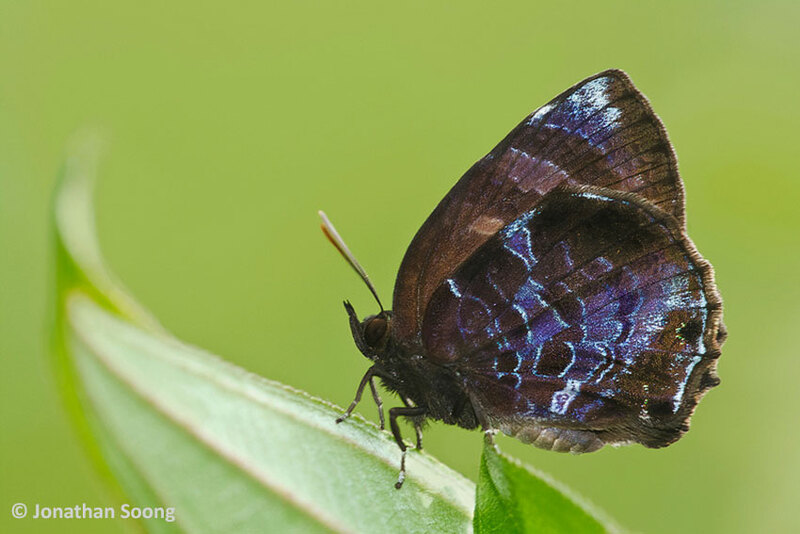 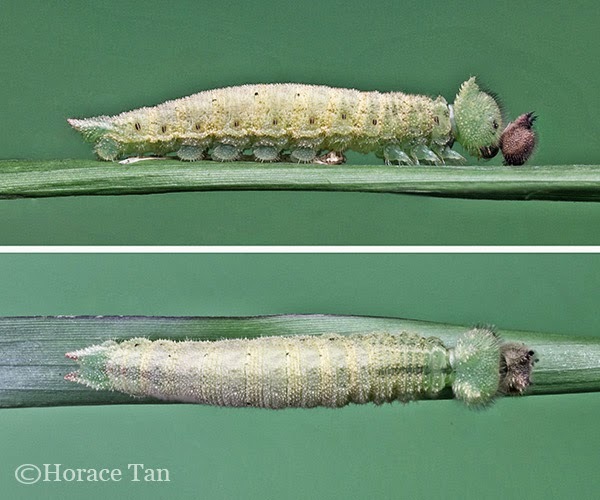 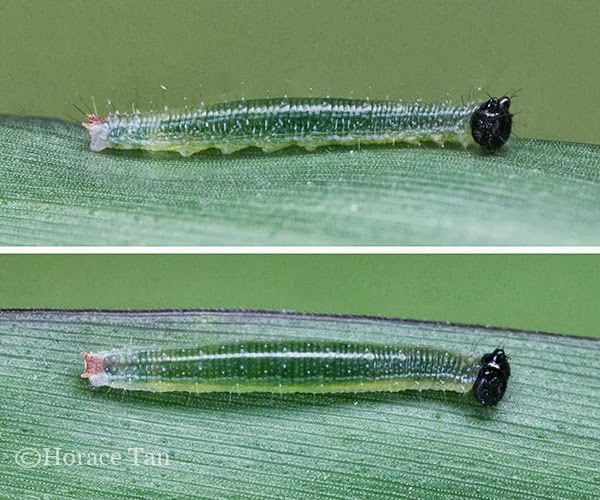 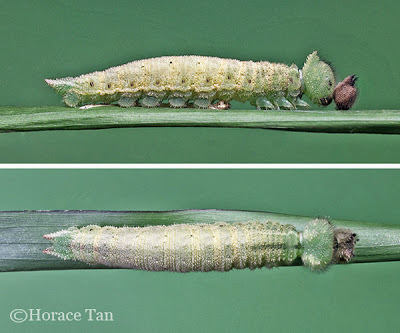 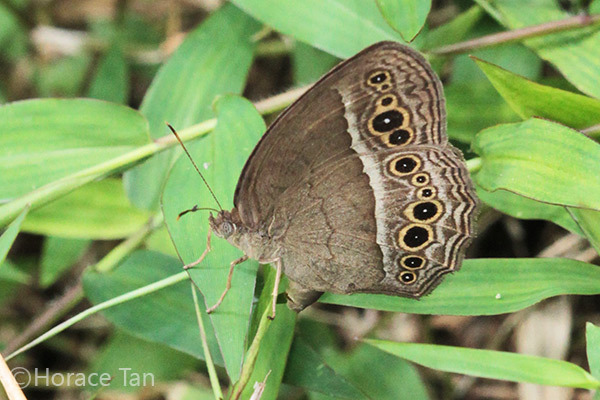 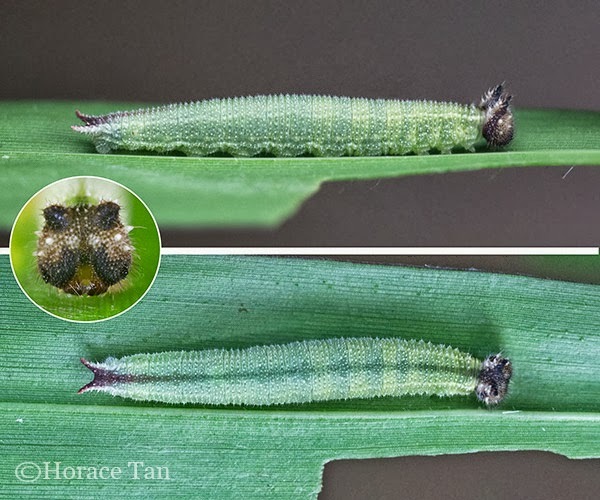 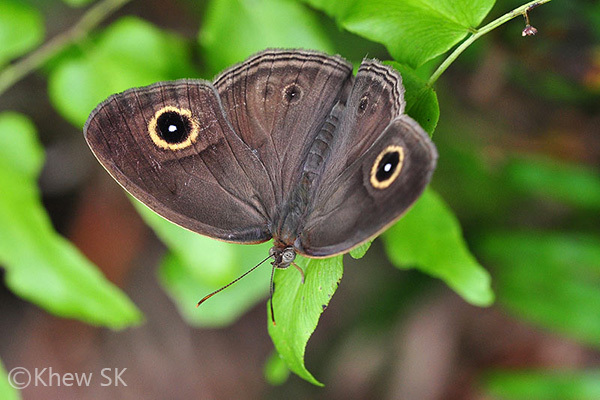 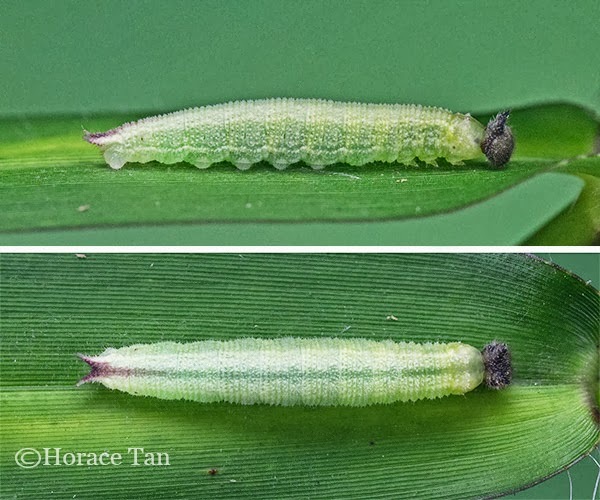 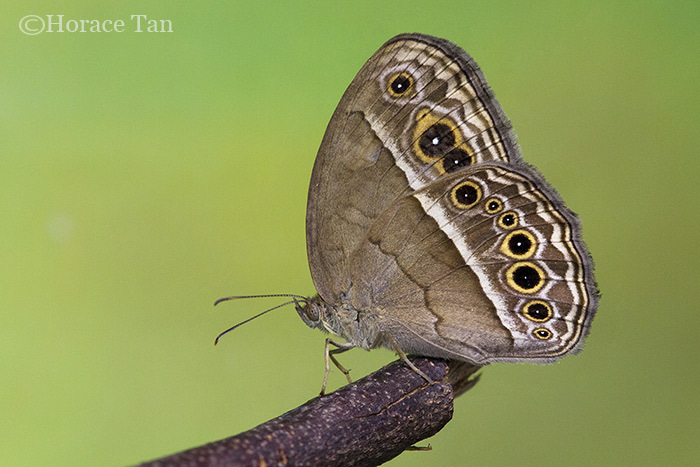 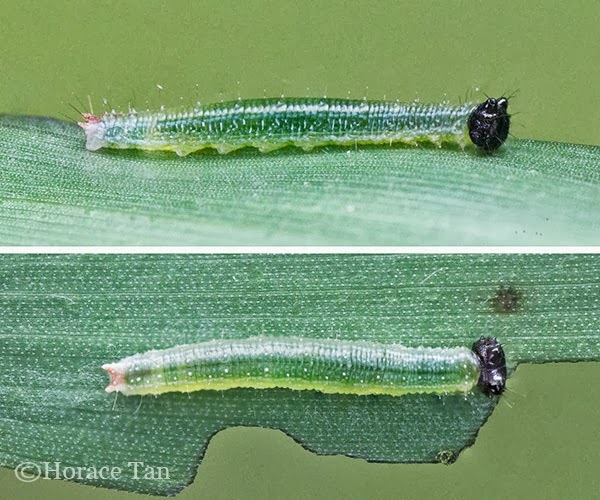 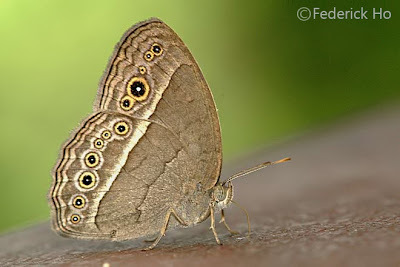 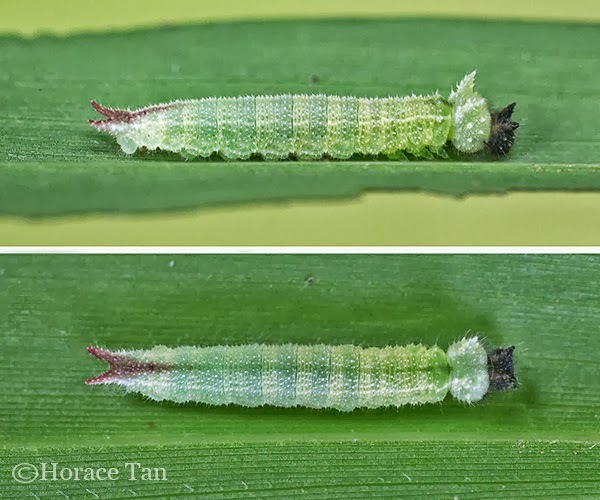 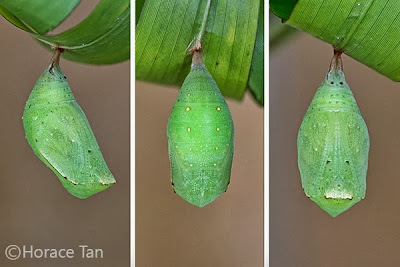 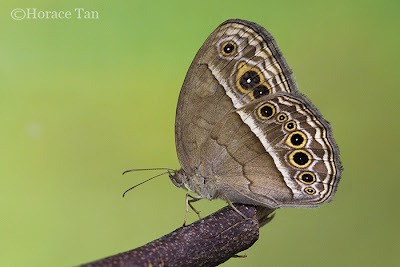 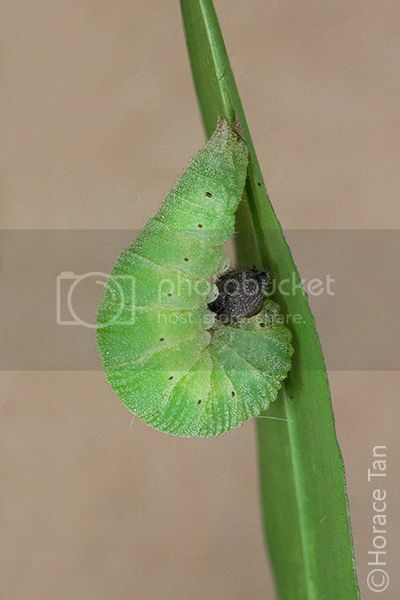 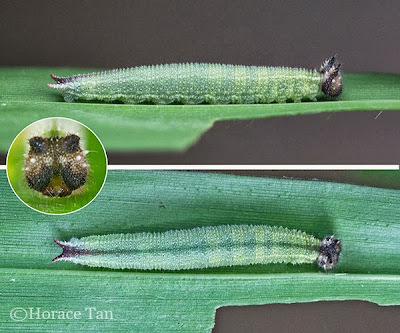 The species is widely distributed in Singapore, and can be found in urban parks, although its preferred habitat is still the forested areas. 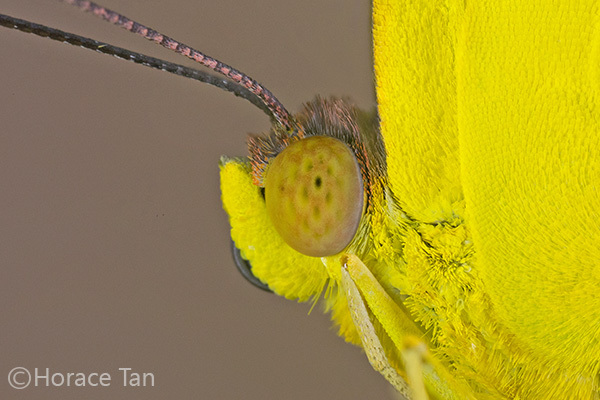 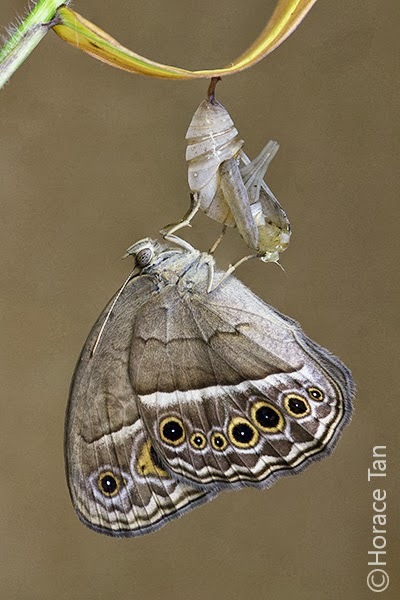 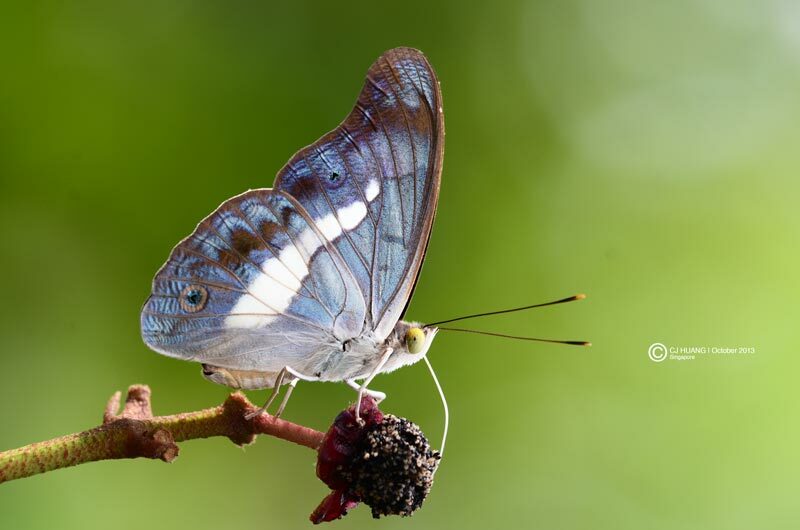 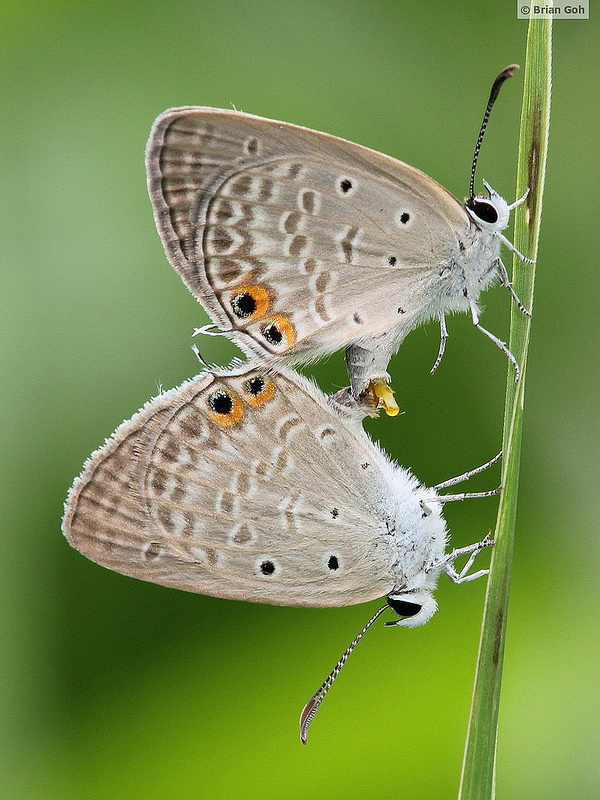 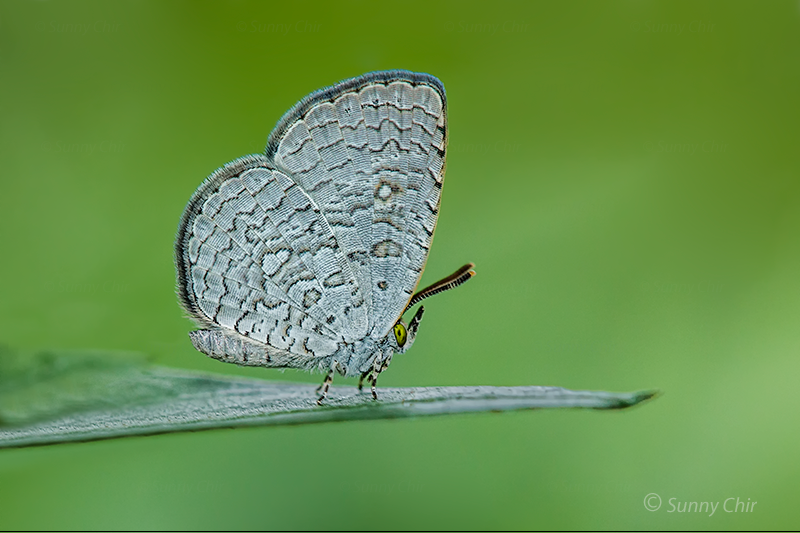 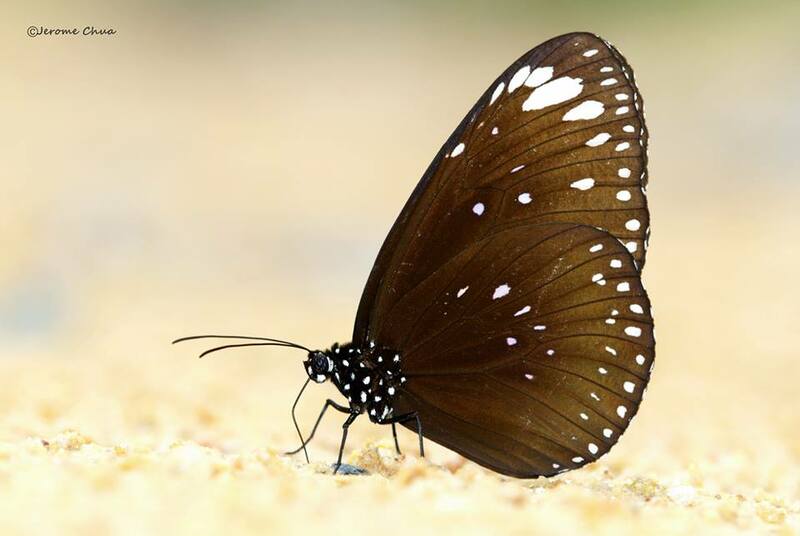 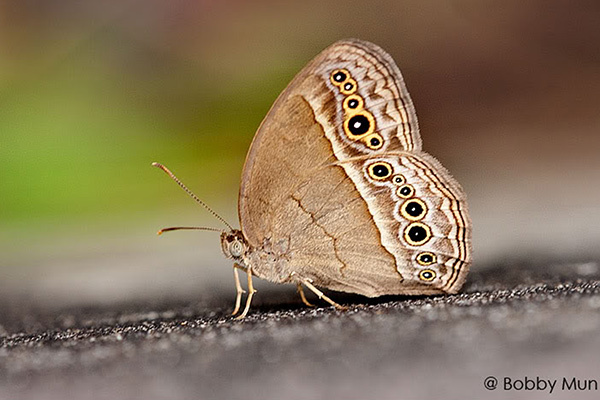 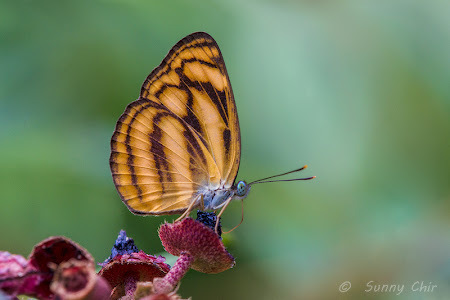 This shot, taken by veteran ButterflyCircle member Sunny Chir, shows a female f-neftina Colour Sergeant's upper wing surfaces. 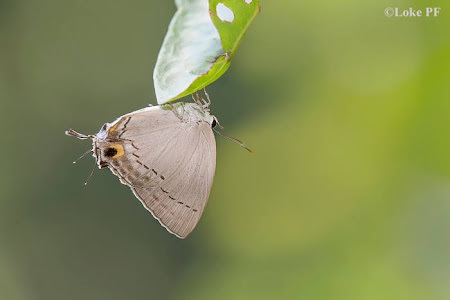 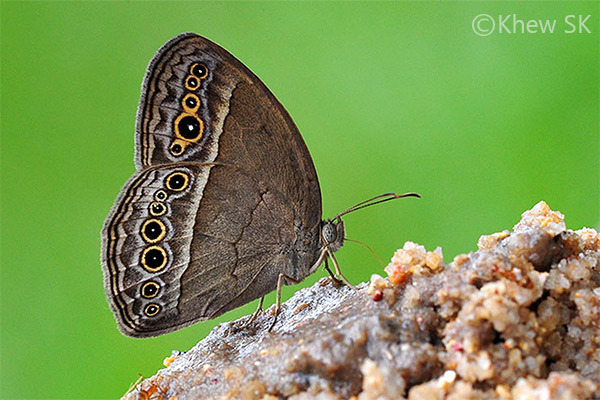 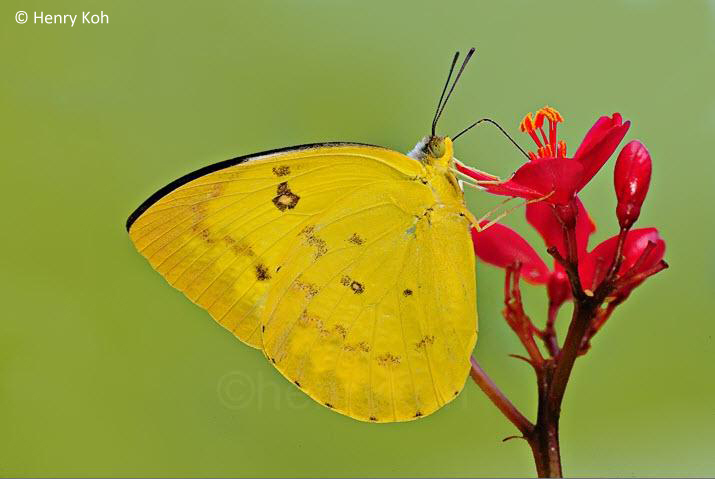 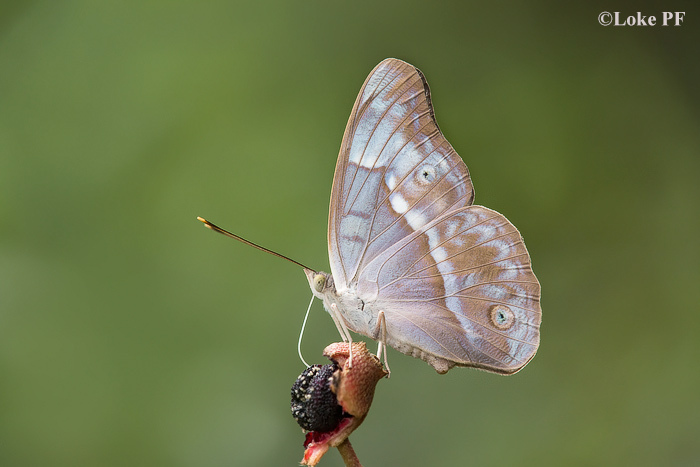 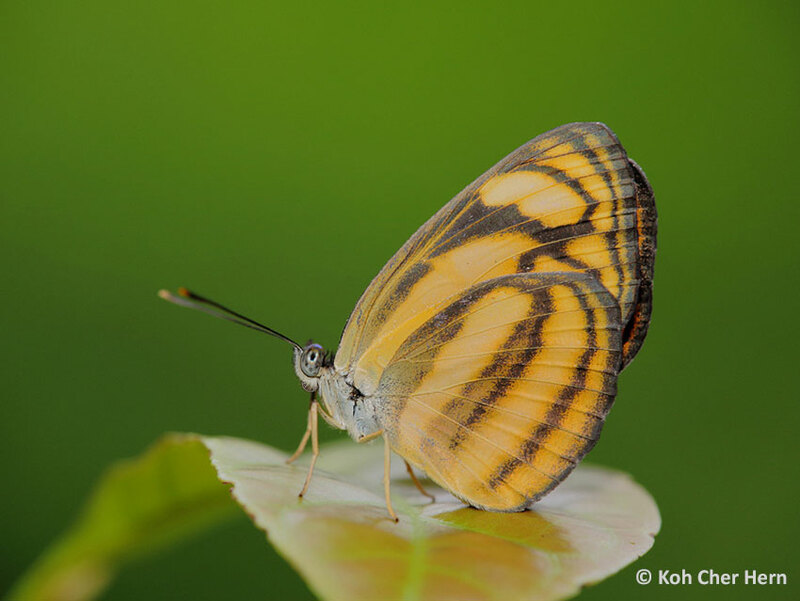 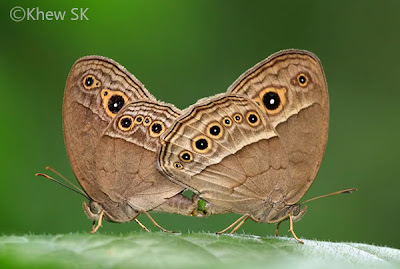 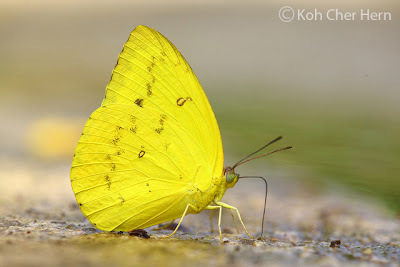 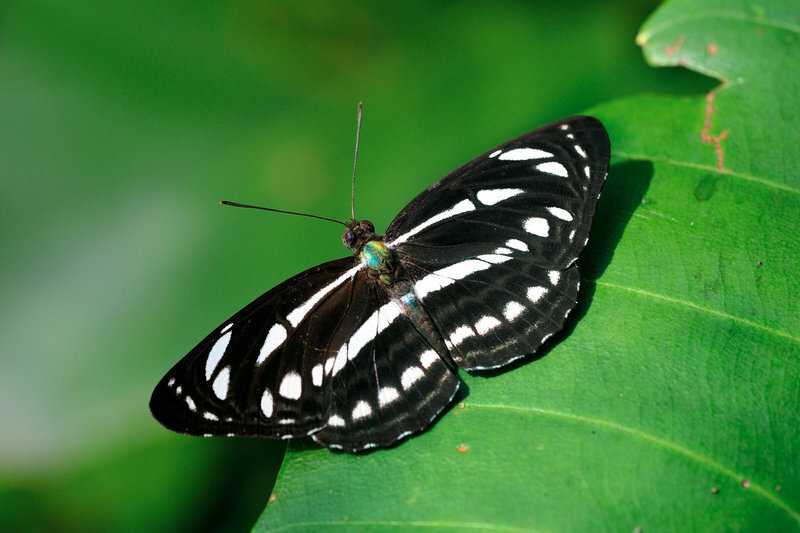 At certain opportune angles, an accomplished photographer can focus on the butterfly itself, and throw the background completely out of focus to enable the subject to stand out prominently, as shown in this shot.